Test firing of thermobaric Multiple Rocket Launcher. 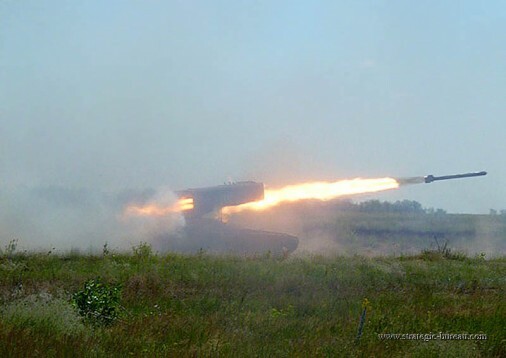 Russian artillery from the western military region has completed live fire training with the Multiple Rocket Launchng Systems TOS-1 and TOS-1A. 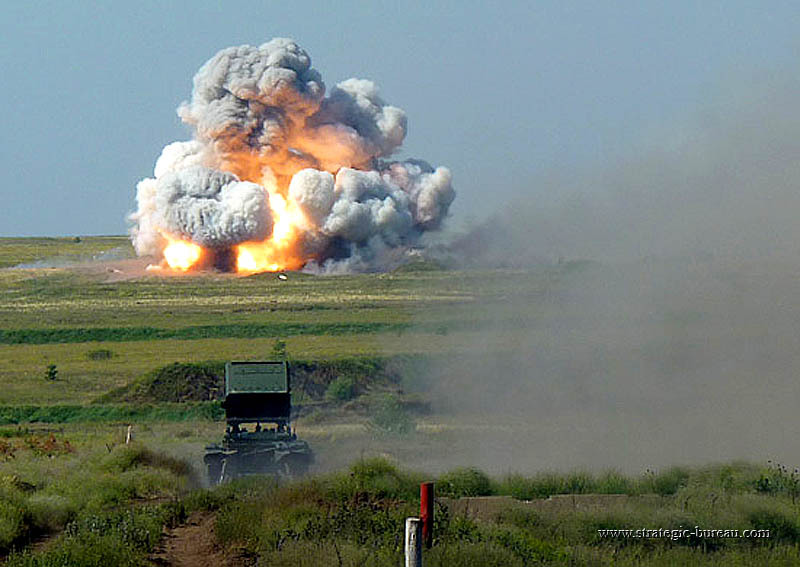 The exercise took place on military grounds near Voronej. 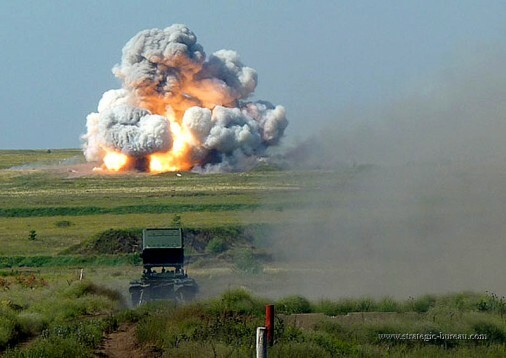 The MRLs destroyed targets at a distance of 3,000 meters. 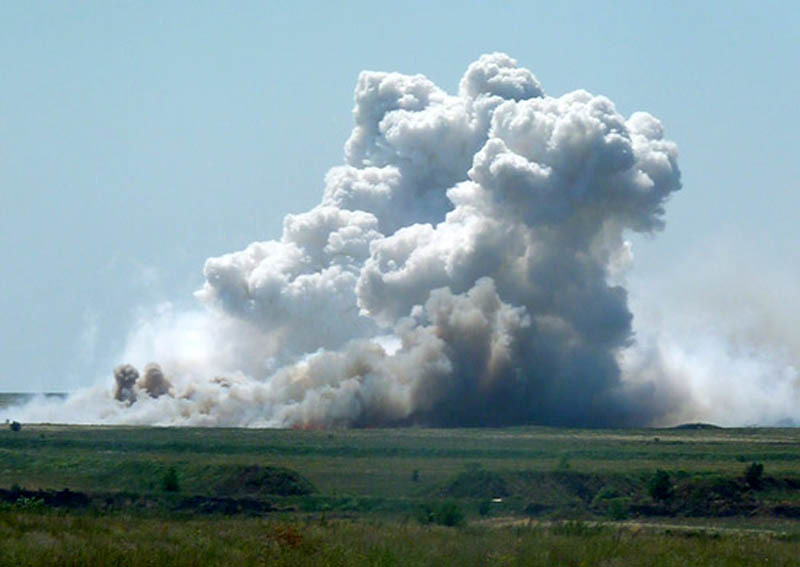 The TOS-1 and the TOS-1A are MRLs with a thermobaric effect. Hey are equipped with 24 ready to fire rockets installed on the frame of a T-72. Their maximum range doesn’t exceed 6,000 meters. A complete salve can cover a surface up to 40,000 square meters. 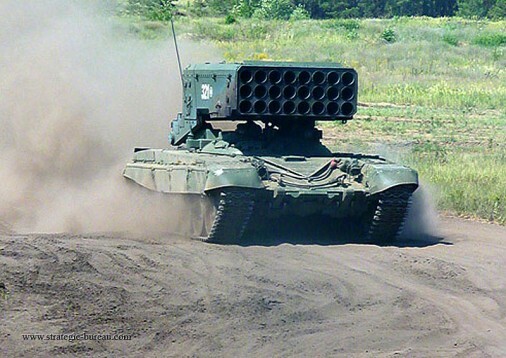 Amongst the Russian forces the TOS MRLs belong to the NBC defense units.